The right has skillfully equated prosperity with morality to take political power and reshape the nation in its worldview. It is time for the rest of us to catch up. President Trump and his party are counting on activists feeling disoriented and powerless, which is why progressives must plan wisely for 2018. Related: There’s a popular groundswell for impeachment — and it’s totally not happening. Dec 07, 2017 | The past few weeks have been hellish for Americans. With one assault after another on our Constitution and our rights, it has felt like an endless stream of slaps to the face and punches to the gut. From the decision by Federal Communications Commission Chair Ajit Pai to end net neutrality to the unconscionable late-night vote Friday by Senate Republicans on a tax reform bill that had amendments scribbled in by hand to Donald Trump’s unprecedented undoing of national monument designations in Utah to the Supreme Court’s Muslim ban-affirming order on Monday, it feels as though the entire nation is under attack all at once. Sonali Kolhatkar is a columnist for Truthdig. She also is the founder, host and executive producer of "Rising Up With Sonali," a television and radio show that airs on Free Speech TV. 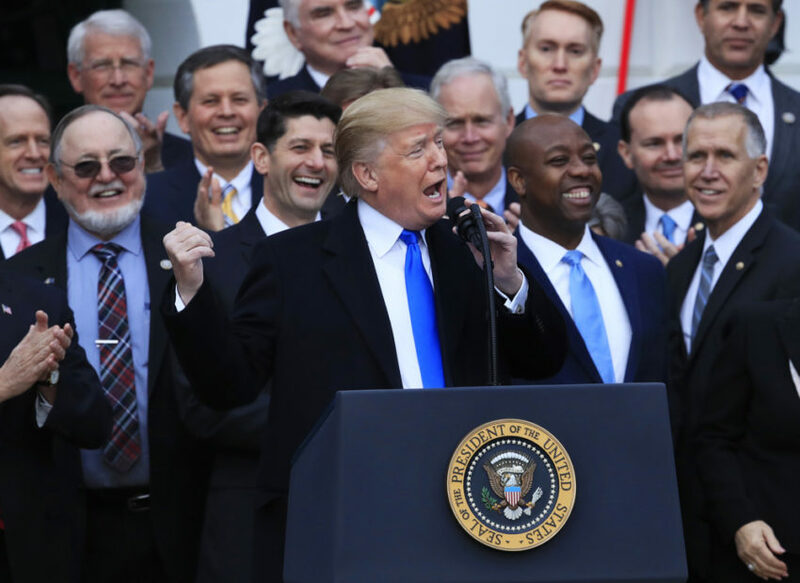 Dec 20, 2017 | The Republican Party is celebrating the passage of a deeply unpopular and comprehensive rewrite of the U.S. tax code, which critics argue is skewed unjustly toward the rich. Members of the party, however, are convinced that we will learn to love the new tax code, as House Speaker Paul Ryan said Tuesday. “When people see their withholding improving, when they see jobs occurring, when they see bigger paychecks, a fairer tax system, a simpler tax code, that’s what going to produce the results,” he said at his weekly press conference. “Results are going to make this popular,” he added, sounding like parents telling their child, “When you’re older, you’re going to thank me for forcing you to take violin lessons.” But like a child who grows up resenting a domineering parent, voters are likely to punish the GOP at the ballot box, as some have predicted. And unlike my analogy, voters are not children. My actual child recently approached me, wondering if he could ask me a serious question. I braced myself, sat him down on my lap and nudged him to speak. Some of his schoolmates had been discussing writing letters to Congress about outlawing shark fin soup in order to protect endangered sharks. But another friend worried that if they did so, President Trump would know where they live and might retaliate. My son wanted to know if it is dangerous to write letters to Congress. Roughly half the public believes Trump has committed crimes and should be impeached. Don’t hold your breath. A new book of essays by leading political analysts delves into the social and historical forces that produced our 45th presidency.